Holiday Inn Express Hotel & Suites South Bend Notre Dame Univ. The Howard Johnson South Bend is conveniently located 1/2 mile south of I-80/90 on US 33/31. 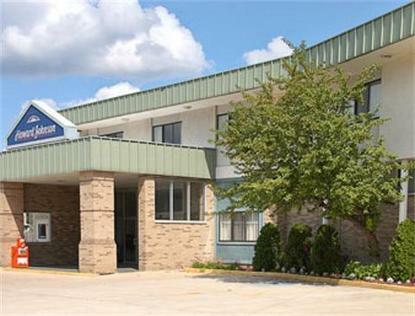 We are only 1/2 mile north of Notre Dame And St. Marys Universities and the convention center is only 3 miles away. We offer 2 floors, free wireless highspeed internet access in all rooms and property, an indoor pool and fitness center, and complimentary continental breakfast to each guest 6am - 9am.